We keep our fire extinguisher service standards at a high level without binding you to a contract. 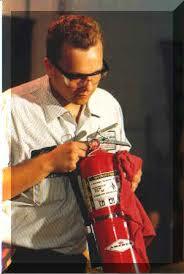 Our extinguisher services are conducted per local and state requirements. 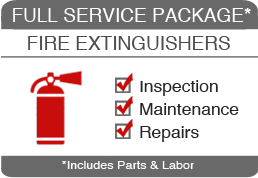 We offer honesty, integrity, and thoughtful manner in which your fire extinguisher services are conducted. Services are performed by a licensed and insured service technician. Technicians perform inspections, maintenance, and repairs on extinguishers. Order Service Now or Talk to a Fire Safety Agent at (773)819-2979.